Cairo International Airport's capacity has doubled to 22 million passengers a year with the opening of terminal 3. 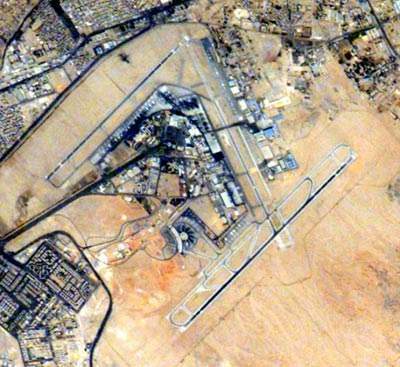 Cairo Internaitonal Airport is 15km north-east of Cairo. 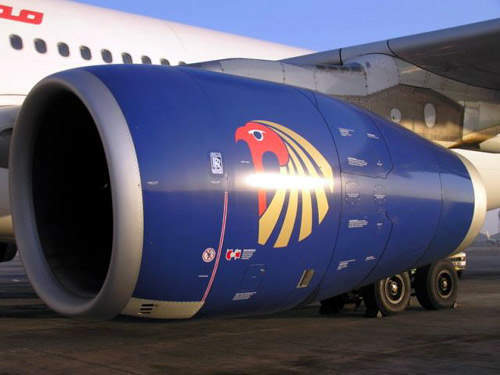 Cairo International Airport is perfectly positioned as a hub for Europe and the Middle East. Cairo Airport has a new fourth runway that is suitable for the A380. Cairo Airport is home to Air Egypt, the national carrier. Cairo International Airport is one of Egypt’s major airports and the primary hub for national carrier Egypt Air. The airport is located 15km north-east of the city. 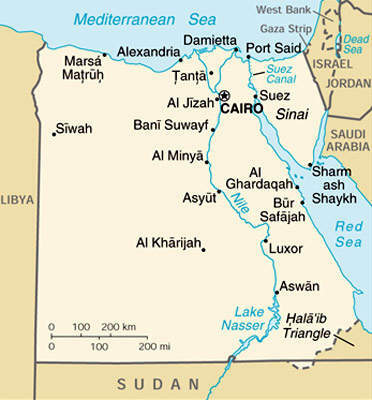 The airport is administered by the Egyptian Holding Company for Airports and Air Navigation, which controls four companies: Cairo Airport Company, Egyptian Airports Company, National Air Navigation Services and Aviation Information Technology, and the Cairo Airport Authority (CAA), which is the regulatory body. Cairo International is the second busiest airport in Africa after Johannesburg International in South Africa. Cairo handles 40 million passengers annually. The airport has three terminals. 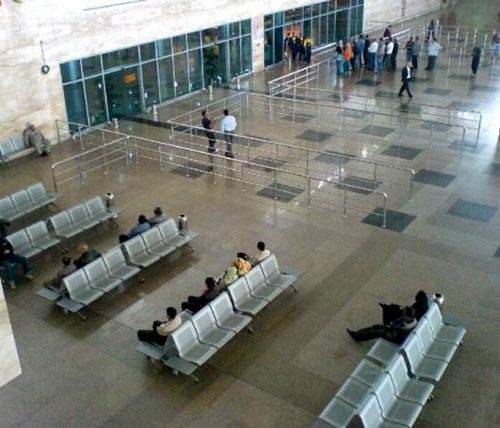 The third terminal was inaugurated on 18 December 2008. There are also three runways and a single cargo terminal (the third runway opened in 2010). Runway 05R/23L is 4,000m long and is suitable for the Airbus A380; 05L/23R has a length of 4,000m and 16/34 is 3,180m (all of the runways are 60m wide). The airport has the potential to be a major hub with its positioning between Africa, the Middle East and Europe (especially with facilities for the A380). "Cairo International is the second-busiest airport in Africa after Johannesburg." New facilities and ongoing projects at Cairo International Airport include an automated people mover (APM), a multi-storey car park and real estate projects. The APM, which will be integrated into the airport infrastructure, resembles a cable car system, and will be located between the second and third terminals. The track length is 1.8km and connects the first terminal, the air mall, the multi-storey car park, and terminals 2 and 3. The multi-storey car park is located in the terminal 2 car park area and opened in June 2011. A new five-star hotel will also be constructed in front of the new terminal. It will be connected to the new terminal through a 230m-long skyway, which will be equipped with travelators. It will open in 2012. Realising the current and future potential growth of the Egyptian air cargo industry, the airport is developing a cargo facility named the Cairo Cargo City (CCC). Hamza & Associates and Lufthansa Consulting have designed the required infrastructure for the CCC. In May 2006, Société Internationale de Télécommunications Aéronautiques (SITA) of Switzerland was awarded a $7m contract to operate Terminals 1 and 2 at Cairo International Airport. The operating contract for terminal 3 was awarded to Fraport of Germany. Terminal 1 first came into use in 1963 and can handle 6.5 million passengers a year. Terminal 2 opened in 1984 and has a capacity of 3.5 million passengers a year. Terminal 1 has 12 gates: three of these are double-level for large aircraft, and all use bus transfer. Terminal 2 has seven gates with ten passenger boarding bridges. Over this area there are 131 aircraft stands, nine of which are contact stands. Terminal buildings 1 and 2 are equipped with Wi-Fi services, covering the departure and transit areas. Terminal 3 opened to commercial operations in April 2009, four months after its inauguration. It has 23 gates, of which two can be used for AirBus A380s. "Cairo International Airport houses the first custom biometric immigration gate system in Egypt." Terminal 3 was built adjacent to terminal 2, which had limited capability for expansion. The two terminals are linked by a bridge and the access roads surrounding the two adjacent structures were refurbished and reconfigured (car parks were also moved). The new terminal 3 main building has three levels with 164,000m2 of floor space. The main building also contains mezzanine levels. The building houses the arrivals and departures halls, baggage handling and retail outlets. In addition, there are plant areas for building services. The terminal has two extendable piers and gates for domestic and international services (contact and remote). The two piers are connected to the main building by concourses. The Airbus A380 can be accepted at two gates. The new terminal is served by a new access road linked to the Cairo ring road. With the opening of terminal 3, the airport’s capacity doubled to 22 million passengers a year. The terminal has a total floor area of 211,000m2 and cost EGP3.1bn. It has a duty-free shopping complex of 4,000m2. Egypt Air Duty Free was the concessions contractor for terminal 3’s duty free shops. Cairo airport’s seasonal terminal opened in September 2011 to cater to all Egypt Air Seasonal and Jeddah/ Medinah flights. It has a capacity to handle 1,200 passengers an hour. In September 2006, ARINC Managed Services was contracted to provide advanced passenger check-in systems and IT technologies for terminal 3 (a project worth $22m). Systems included: self-service CUSS, ARINC SelfServ, iMUSE common-use passenger system; AirVUE flight information display system and AirDB airport operational database. "Cairo’s terminal 3 project was worth $400m." The terminal 3 project was worth $400m, with funding provided by the World Bank, the National Investment Bank of Egypt and the Egyptian Government. ARINC provided design, project management, supply management, installation and commissioning services for 14 of the most important IT systems, including: passenger check-ins and displays, parking systems, biometric gates and ramp control. The terminal 3 contractor was TAV (Egypt) Airports Holding Company of Turkey. Sagem Sécurité was selected to provide the terminal with new technology biometric border control gates. The new automatic fingerprint recognition system can be used to identify incoming passengers to increase the speed of the immigration process (the first custom biometric immigration gate system in Egypt). Plans are in place to extend the Cairo Metro line to Cairo International Airport. When completed, the metro line will connect the airport to Mohandessin in Giza. A new ATC tower is also planned. Airport Consultancy International (ACI) provides airport consultancy, planning, design and engineering services in collaboration with its network of advisors, specialists, economists, airport architects, engineers and builders. Similar to M2, the Module 3 scan estimates space requirements at airports. 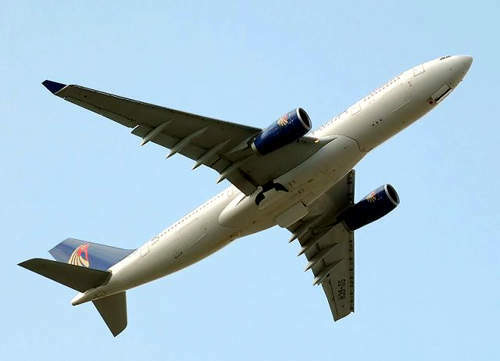 However it also allows clients to modify calculation parameters within a certain range to match the airport's unique character, operations or business model. Module M2 is a comprehensive service that estimates the space requirements of passenger handling areas, as well as airport and airline lounges.